Sash Windows Brighton are a long established business operating within the Brighton and Hove area, offering local homeowners and commercial properties an excellent range of valuable, professional window installation, repairs and maintenance services. Sash Windows Brighton have decades of experience operating within the window industry with a proud history of council approved jobs and loyal customers. With all of the professional knowledge, passion and expertise required to offer a premium service, Sash Windows Brighton are the local area’s number one choice for all new window purchases. All windows supplied and installed have been manufactured with the highest grade materials and created with the highest industry standards with a company promise of quality. Regardless of whether customers are looking to install windows in a brand new build, or to replace an older form of window, perhaps in a renovated house, Sash Windows cover it all. 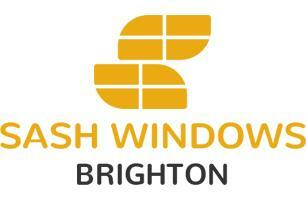 For all manner of window related repairs, Sash Windows Brighton are the answer. The professional team will come out to property locations to examine the window health in order to diagnose any underlying problems that may hinder a repair procedure. Following this, a transparent, affordable and fair quote will be supplied prior to any work being carried out. Repairs cover all bases, from simple broken sash cords to repairing rotten, weather sash windows (including brand new sills and frames) all the way up to full window pane repairs – whether this is an entire new glass installation or a simpler putty repair job; nothing is too small or too big. Of course, not all jobs can be cleared up by a simple repair and may require an entire restoration process. Sash Windows Brighton are seasoned experts, when it comes to restoration – with decades of happy customers throughout the Sussex area. Restoration jobs promise to bring all windows completely back to their original health, cut down on external noise and air intake and increase heat efficiency for the home. Irritating rattles, shakes or sticking will be ironed out, as well as whole new seals installed to ensure maximum resistance against the outside weather. Some cases call for even more drastic means; complete replacement. It could be that it makes more economic sense to replace damaged, rotten or otherwise malfunctioning sash windows with something brand new, which Sash Windows Brighton can do at a record price, in record time. All styles of sash windows are within the company’s wheelhouse including all manner of modern styles and designs. With the company’s reputation for honesty and transparency; customers can be assured that replacements will only be carried out in extreme circumstances, where it’s necessary. Not all cases require huge repair jobs or maintenance – the aesthetic can be just as important as the practical.